Traffic on the eastbound 401 remains backed up from Glen Miller Road to Wooler Road following a major accident involving four tractor-trailers late last night. 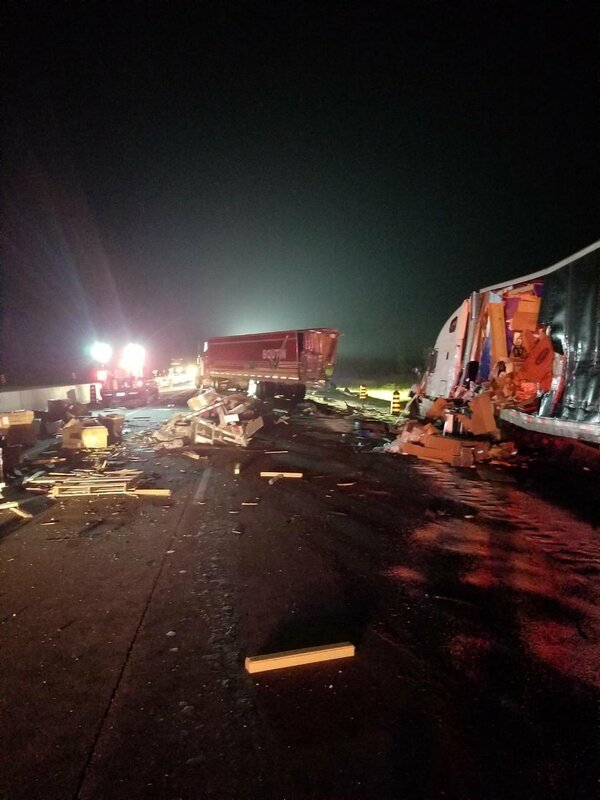 The OPP report one person is dead and another person sustained minor injuries after the trucks collided just after midnight. The driver of a milk transport truck was declared dead at the scene, according to a media report. Milk was leaking onto the highway. Another driver was taken to the hospital. Napanee, Loyalist and Kaladar OPP detachments were dispatched to the scene, along with the Quinte West fire department and five ambulances. The traffic collision investigation units of the OPP remains at the scene for the ongoing investigation and clean up.